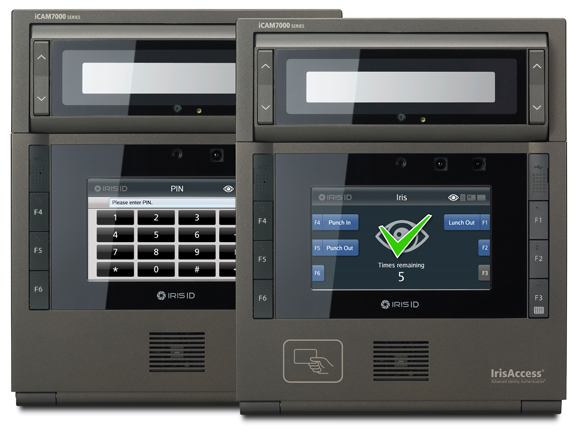 Iris ID biometric devices are one of the most effective solutions for time and attendance, workforce management, and access control. Our iCAM7100 devices eliminate the potential errors associated with manually calculating employee hours. These readers also eliminate costly “buddy punching” because biometrics identify a person based on their unique physical characteristics of the iris. 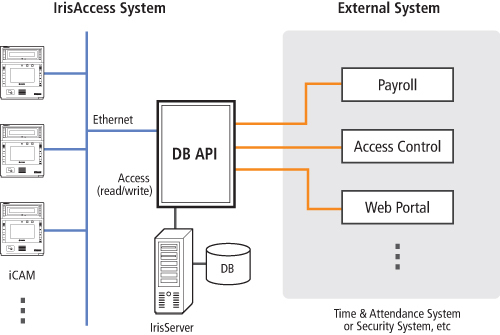 For the most demanding applications, Iris ID has a solution that will fit the needs. 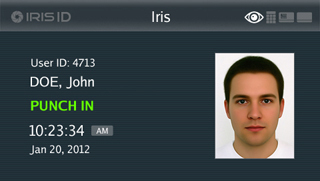 Iris ID can be used in environments where workers have difficulty providing other biometrics. The iCAM7100 devices are the most vital solutions for effective workforce management. With the iCAM7100 devices organizations can improve record-keeping accuracy, alleviate risk, increase employee productivity. The iCAM7100 also provides a host of benefits for your business. Reduced Payroll and Administration Costs – because punch-in and punch-out data is read and recorded at the point of entry, timecards are eliminated, along with any discrepancies between time worked and time reported. More Productive and Informed Workforce – identification takes place in less than a second; during that process the communication panel can display time/date and ID number of employees, promoting communication with management. Remote Management – remote diagnostic capability allows for device maintenance without removing the device from the wall. Non-Contact – inhibits any transfer of germs or bacteria to other employees. Iris ID brings the accuracy and convenience of iris recognition technology easily within reach of any time and attendance application. In operations that range from coal mines to clean rooms, the Iris ID devices have proven to be a practical and precise solution. For any size companies, the iCAM7100 provides a high return on investment by eliminating the cost associated with administering and managing cards. For companies that have small, multiple locations, minimal supervision leaves an opportunity for buddy punching and time fraud. 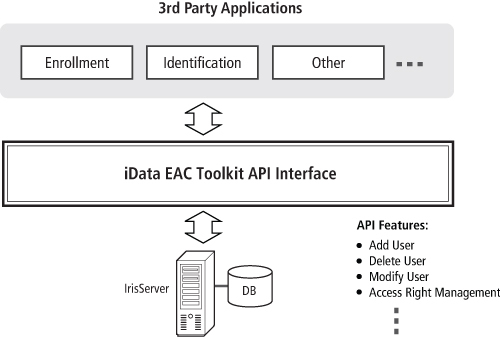 The IrisServer PC (iData EAC) controls enrollment and the distribution of 512 byte (two eyes 1K bytes) iris templates to the iCAM units. A Wiegand output or relay can control the operation of the door. A multi color targeting aid is part of an intuitive and interactive interface that includes voice and visual feedback for optimum user experience. iCAM7100 will automatically adjust the recognition mirror to the users height when a card is presented to the iCAM. 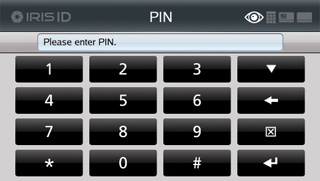 Single, Dual or Tri-Factor authentication is available.